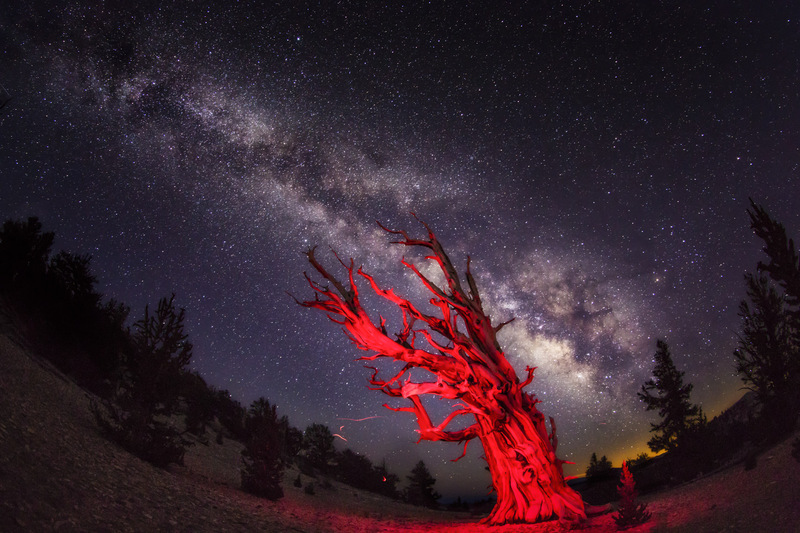 Bristlecone pines are the oldest living creature in Earth! Some are over 5 thousand years. Using a red lamp to "paint" the tree gives it this different look.